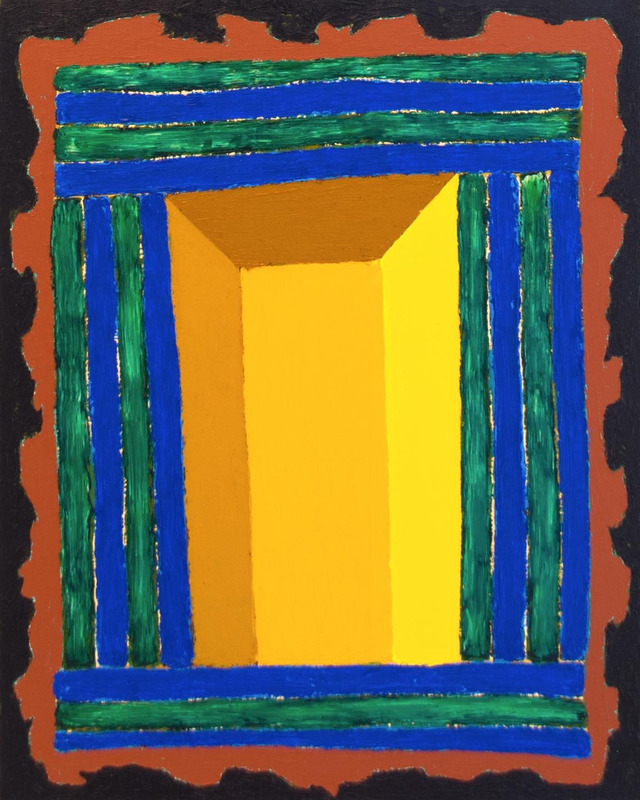 Matt Kleberg’s paintings of abstracted passages in the form of distorted prosceniums and archways are largely built using oil sticks, which he uses to lay down brightly hued stripes and concentric shapes in cacophonous colors. Structurally, the artist’s engaging, decorative images walk a line between architectural volume and painterly flatness, paying tribute to one of his chief influences, Frank Stella. However, while acknowledging his debt to Stella, Kleberg takes exception to one of Stella’s most famous statements “what you see is what you see.” In contrast, Kleberg believes “we can’t escape the world. It is our visual vocabulary.” Matt Kleberg (b. 1985 Kingsville, Texas) received his BA from the University of Virginia in 2008 and his MFA from the Pratt Institute in 2015. Lives in Brooklyn, New York.